A useful, well-produced app, MicSwap Pro impressed us more than we expected it to. Comprehensive input/output options. Decent mic emulations. Easy to use. We've heard better mic modellers - but not on iOS. As far as we're aware, Future Moments' MicSwap Pro is the first microphone modeller for iOS. "The mics do a pretty good job of capturing the general flavours of the originals"
It runs the input (either an imported audio file, a feed from the built-in or external mic, or the output from another app) through 13 instantly switchable emulations of classics such as the SM58, U87, C12, etc, positioned in one of seven virtual recording rooms. There's a gain Slider and a Record button for capturing the signal. The mics do a pretty good job of capturing the general flavours of the originals, although serving more as a nicely varied collection of vocal (or other source) character enhancers than anything that would have purists swooning. 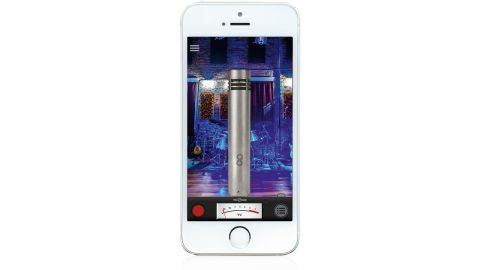 Recordings can be trimmed and exported to other apps, and - as hinted at earlier - AudioBus and Inter-App Audio support are in place, via which Mic Swap can be used as an input or an effect.